An uplifting fusion of warming ginger and zingy lemon, stimulates the senses for a golden flow from the inside out. Activated by crushed black peppercorns. Turmeric (42%), Ginger (35%), Lemon Peel (10%), Rosehip, Grated Coconut, Fenugreek, Black Pepper. 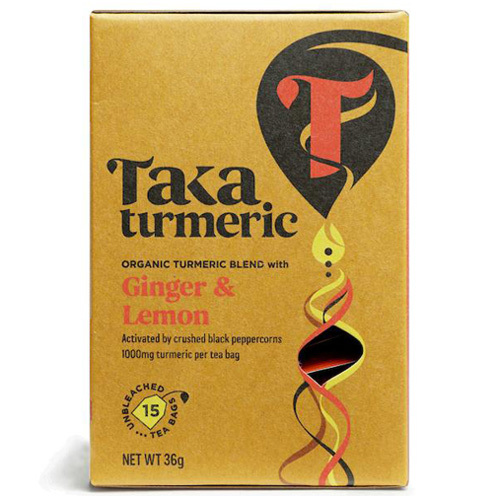 Below are reviews of TAKA Turmeric Ginger & Lemon - 15 Tea Sachets by bodykind customers. If you have tried this product we'd love to hear what you think so please leave a review.